Home » Blog » The NJ Symposium for Physiologic Birth: 2018 Avoiding Cesarean – Save the Date! The Midwives of New Jersey are so excited to have Dr. Neel Shah speaking at the New Jersey Symposium for Physiologic Birth this year. Our topic is Avoiding Cesarean and Dr. Shah is an expert on that! The conference is presenting some unique approaches to reducing unnecessary surgical births. Dr. Shah was recently interviewed for an article written by ABC news about the rising Maternal Mortality and severe Morbidity rate in the U.S. Our nationally high cesarean rate is one of the direct causes of this very concerning trend. The Symposium will be an exciting day offering positive solutions to our cesarean epidemic. 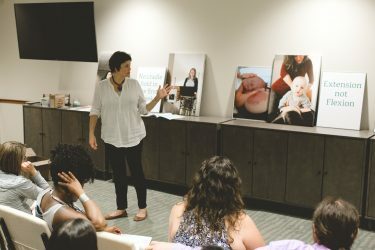 We hope to involve all Birth Workers including Physicians, Doulas, Midwives, Nurses, Childbirth Educators, Hospital Administrators and Lactation Consultants in New Jersey and beyond. The New Jersey Symposium for Physiologic Birth: 2018 Avoiding Cesarean will be held on November 8th at the Bridgewater Marriott. Save the Date!